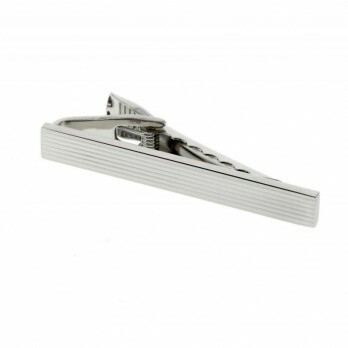 Tie pins make it possible to wear a tie without necessarily wearing a jacket.Americans believe the pin should be placed low enough to be hidden by the jacket, if one is worn. 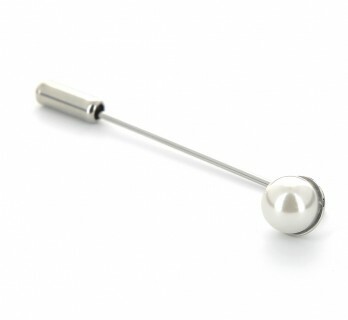 As for the British, they prefer not to wear tie pins at all! The British are often right when it comes to men’s elegance, but they do not have a monopoly on the matter. 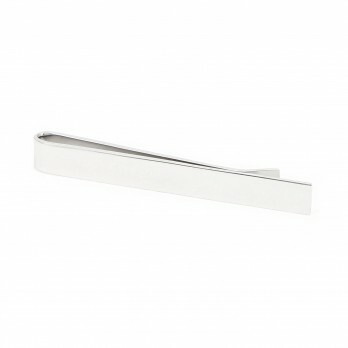 Steel round-tipped tie clip. 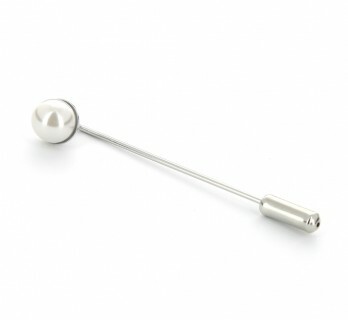 Size: 62 x 6,5 mm. 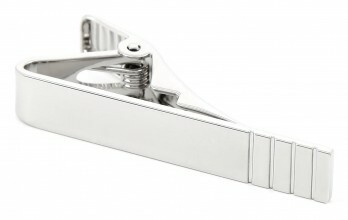 The tie clip can be slipped or pinched between the shirt and tie. 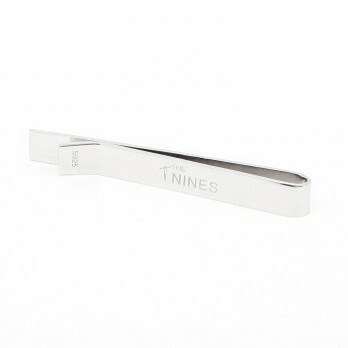 The clips we offer at The Nines are slim or normal size. 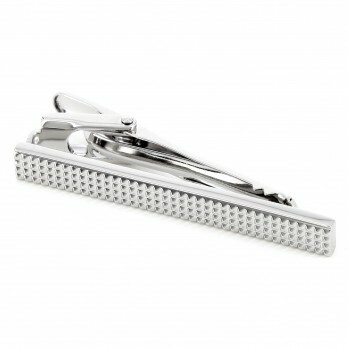 The added value of a tie clip will reflect, like cufflinks, your sense of style and enhance the other parts of your look. 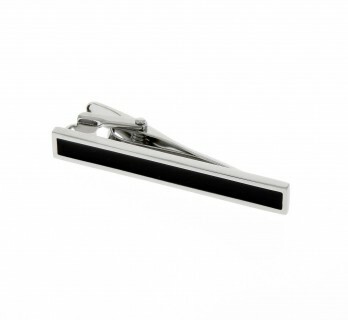 Whether you prefer to slip it on or pinch it on your shirt, both types of tie clips have the same objective: to ensure that your tie stays in perfect shape all times. 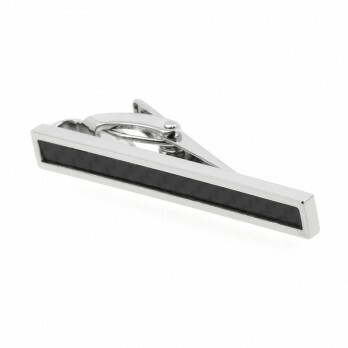 The first rule for the surface of your tie clip is that it should be similar to your other accessories, such as your watch, cufflinks or bracelets. For example, a gold tie clip will perfectly match gold cufflinks. 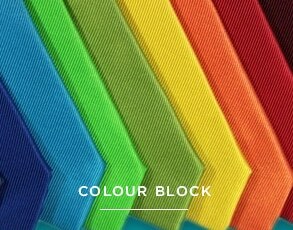 Use colours sparingly. 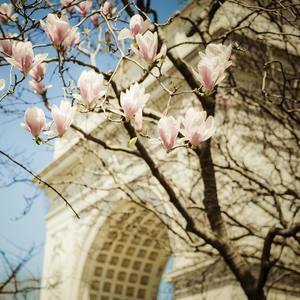 Indeed, some colours are more daring than others and are difficult to match. 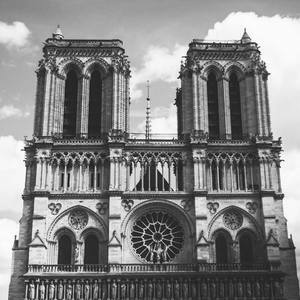 In the same way, some combinations of nuances are opposed. On the other hand, other colours, such as gold, work with many combinations, for example with navy blue or burgundy. 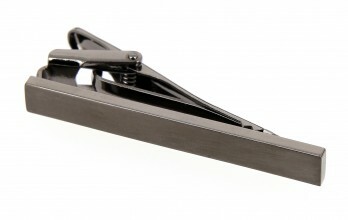 Finally, if you wear a black tie, you will have more possibilities of assortment. 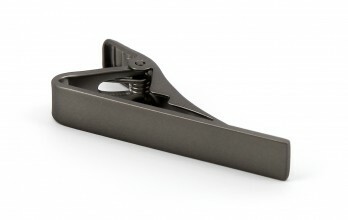 On the other hand, the surface finish of the clip is also important and must match the tie. The matt surface, more delicate, will soften a luminous ensemble while a glossy or metallic surface will work better with a traditional ensemble. 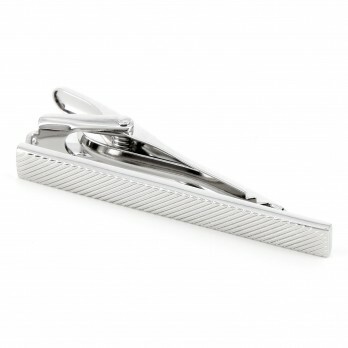 It is important to position the clip properly so that it holds the tie. 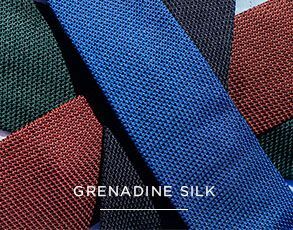 Too high, you will crush the tie and it will tend to scatter. 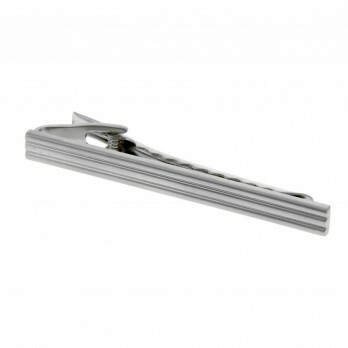 Too much at the bottom, the clip will no longer be useful because your tie will have an irregular and altered shape. 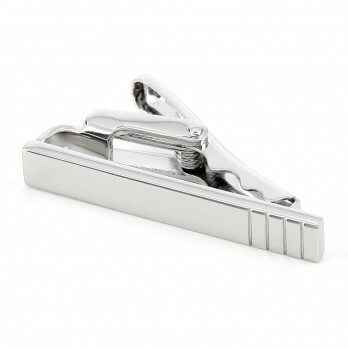 The place where your clip will be most useful to keep your tie in place will be under the third button of your shirt, or even before the fourth button. 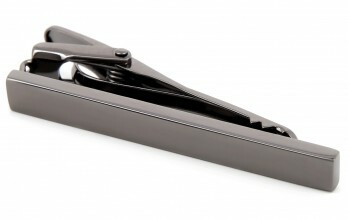 The tie must be wider than the clip because the opposite is not elegant. 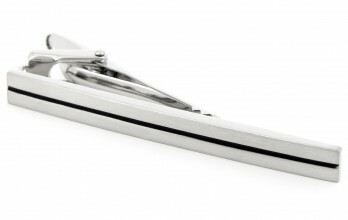 If you wear a slim tie, use a slim clip with it. The same will apply to a wide tie. 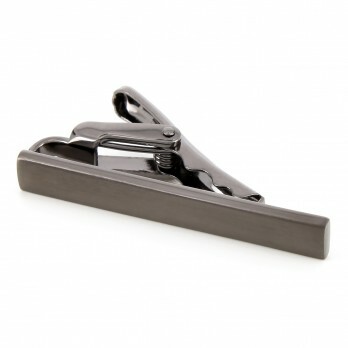 The clip is generally between 2 and 7 cm long. 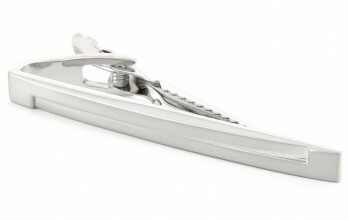 We advise you to test the different clip sizes on the chosen tie, choose the one that suits you the best! 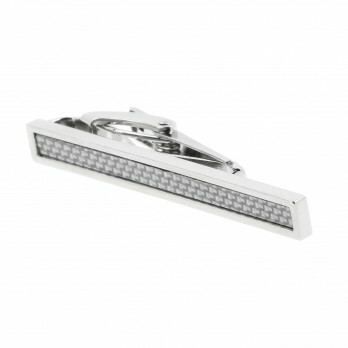 The tie clip works with any type of outfit. 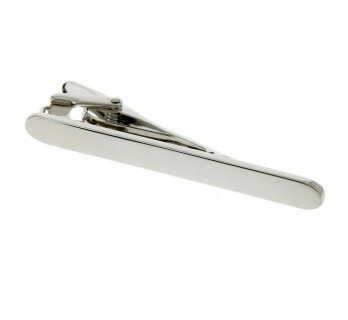 You can wear one with a blazer or cardigan for example. Just make sure that it is visible, or even enhanced if you wear a closed jacket, in order to always enhance the elegance of your outfit. 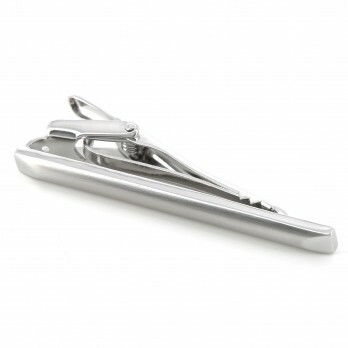 However, remember to match the type of tie clip to the material of the tie: a tie clip should not be used to keep a wool tie in place, for example, as this may damage the knitwear.